Make your wedding ensemble memorable with a completely unique piece crafted by our expert designers in Anoka, MN! Amazing Alterations is lucky to have a wonderful team to assist you during every step of your wedding preparation process. Our rockstar designer, Michael, can work with you to create a custom piece to accompany your wedding attire or to come up with a creative solution for your alteration needs. 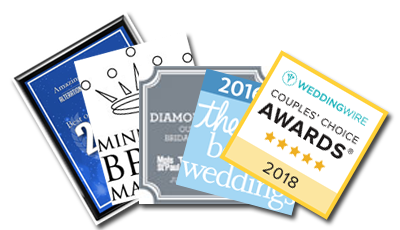 Whether you’re looking for bling, color, something cozy, or even a complete reconstruction, we can use our creative vision and expertise to make sure you feel comfortable and special for your big day. And the best part? At Amazing Alterations, custom doesn’t have to mean expensive. We can provide you with the same custom items and services for much more affordable prices than larger chains…sometimes even half the price! Contact us today to see how we can help you with your custom needs. Call Amazing Alterations at 763-432-5243 or email us at appts@amazingalterations.com to set up a free consultation. We look forward to meeting you!